Wow! Great Find! 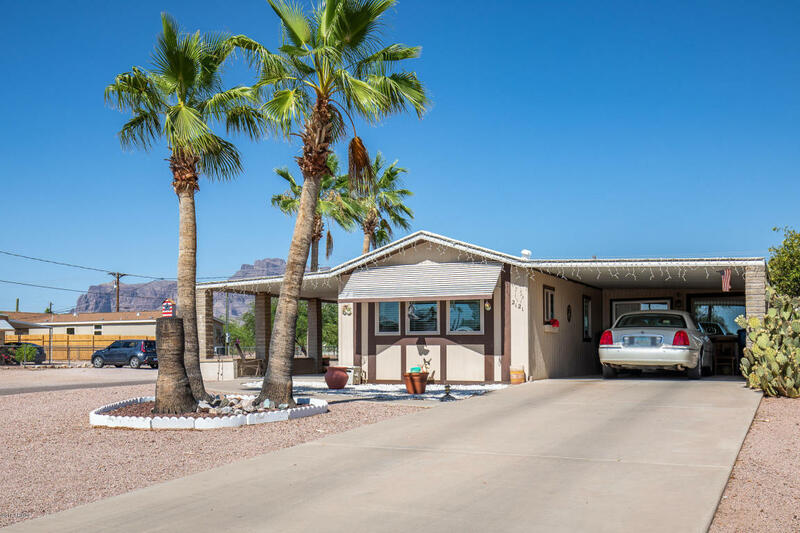 VERY well maintained and STUNNING VIEW OF SUPERSTITION MOUNTAIN from many rooms and from your FANTASTIC LARGE PATIO! You will love the large family room, TWO STORAGE UNITS, spacious open, eat -in kitchen with LOTS OF WINDOWS and they are NEW WINDOWS too (all except for one in back). NEWER hot water heater, water softener just rebuilt ($450). ***MOST FURNITURE AND DECOR INCLUDED! Seller taking white dressers, chair in master bedroom and misc decor items, personal items and memorabilia. *** DON'T WAIT TOO LONG!